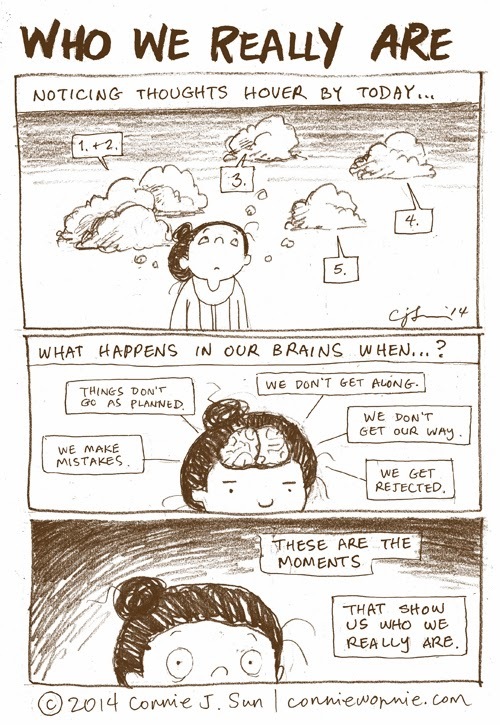 Thinking about how our brains process not getting what we want in life. Life happens... and can only be who we are when we happen with it. I love your comics, but disagree with the premise behind this one. All these things only show us who we are when we have these particular experiences. We also see who we are when we laugh, fall in love, are creative, excited, etc, etc, etc. Carry on!